People with leg disability use crutches to move one place to another place. But crutch is not a good walker for many reasons. Some of them are slower moving speed, trouble in walking, and stability. On the other hand, knee scooter is far better to walk without facing these problems. But If we don’t know how to use a knee scooter It might be more dangerous than crutches. Because scooter is like a tricycle. But the difference is you have to keep your knee on it. That’s why you have to know the proper balancing of knee scooter. The most important thing to use a knee scooter is the height adjustment of the kneepad and handlebar. If you adjust the pad and handlebar in wrong height it can even destroy your knee. Adjust the knee pad and handlebar in a height so you can stand straight without bending your lower back. To adjust these, keep the knee of your injured leg on the pad hold the handle bar and stand straight. Call someone to adjust the pad height for you. Watch the video to know how to assemble and adjust knee scooter here. After adjusting the knee rest the position of the knee plays a vital role in safe scooting. Normally people keep their knee on the knee pad. But if someone having a problem in the knee joint they should not position their knee directly on the knee pad. 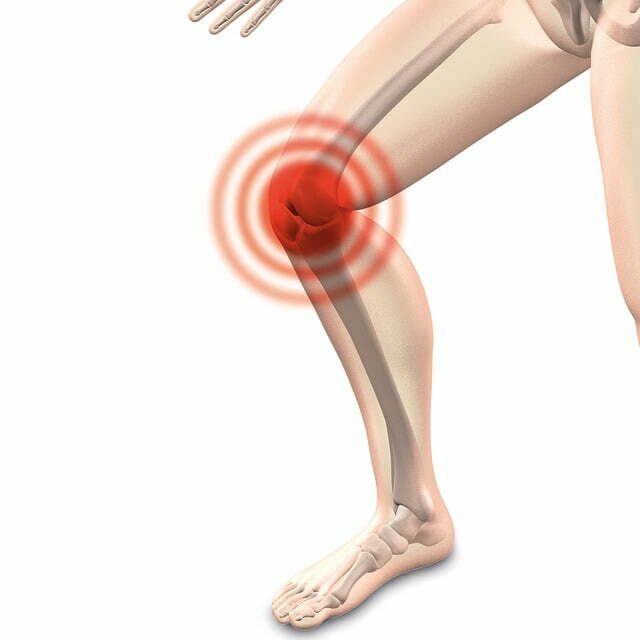 Because Putting pressure on knee joint for a long time will increase their knee joint pain. If you got this problem then you should position your knee slightly forward to the knee pad. And you should put the pressure on your leg opposite to the calves. To walk with a knee scooter don’t use your injured leg. This is the most considerable thing after a knee surgery. If you see your knee is getting healed and you can stay on the injured knee. Then just use it to give a rest of your walking knee. Like a bicycle, scooter brake is also an important part to operate the scooter safely. But most of the elderly people make the mistake to use the brake leaver. While we are riding a bike if we need to do hard brake we can additionally use our legs to prevent any further accident. Legs play a very important role to keep the balance after a hard brake on a bicycle. But in a scooter, we have to use only one leg for walking. That’s why it will be dangerous to press the brake leaver hard and control the balance after the hard brake. That’s why while walking on scooter always try to do smooth braking. For that be cautious of the object or people in front of you. For elderly people or people who never tried bicycle, they might be in a problem of handling the scooter. Those who never experienced such type of riding, they should practice before using it. So, let them use it when they can balance on it. Otherwise, they will be injured for the second time. It really depends on which is more comfortable to you. If you feel that you can’t handle the knee scooter or you have balancing problem on the knee scooter. Then you should use a knee crutch. If you want to move fast then you should use knee scooter. Knee scooters are expensive than knee crutches. So, you should also consider your budget. When it comes about safety knee crutches are safer than knee scooter. 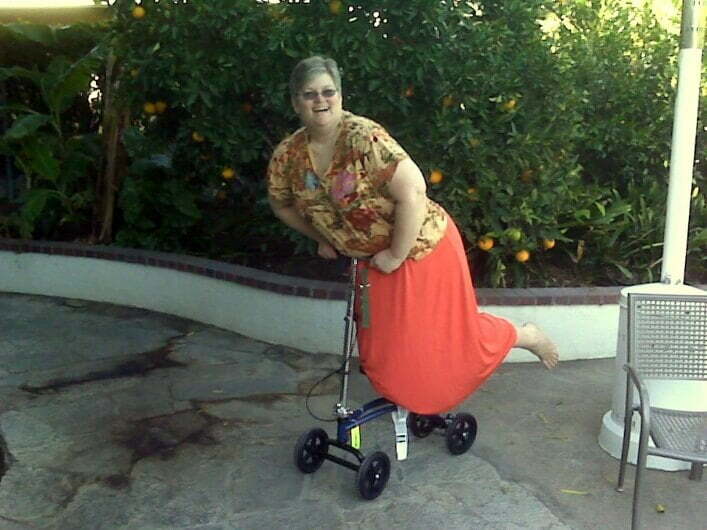 If you have better balance on you, then you can also use hand free crutch. But for old people using hands-free knee crutch will be more dangerous. On a knee scooter, you can even seat if you want. But knee crutches haven’t this facility of taking rest. You can use the different position of your legs on the knee scooter. But on knee crutches, you have to set your knees in one position. And you will not be able to move your knee. So, for choosing knee crutch or knee scooter, you should depend on your leg strength and balance. If you want to buy one of this walking assistant for your parents or grandparents. Then I will recommend to buy them a knee scooter which will be easier for moving.